The United States is an alluring destination for travelers, especially because there are many cities and areas to recieve a lot of exposure in TV shows and movies. Places like Los Angeles, New York City, and Washington DC, are always on the top of the list, but there are many smaller destinations that are well worth you time – like Seattle, Portland, Boston and New Orleans. If you’re looking for an outdoor adventure, there are many fantastic National Parks with unbelievable landscapes to explore. It can be daunting to begin planning a trip to the United States due to how vast it is, and how many different destinations there are to choose from. While it is possible to hop around and see more than one destination, or to take a road trip that would cover a lot of territory, you need a lot more time to get from spot to spot than you might think. Thus good planning and organization are needed. Due to the large area the United States occupies, there isn’t just one best time to travel there. The time of year you choose to travel depends greatly on the region and states you will be visiting. For instance, the weather is always more mild in the Pacific Northwest (Seattle, Washington and Portland, Oregon), than in the Northeast (New York City, Boston, Philadelphia). So while you can visit the Pacific Northwest year-round with no weather worries, it’s best to avoid the Northeast in both the extreme summer and winter months. You may have heard, Chicago and the northern part of the United States get really cold in the winter, and they often have quite a bit of snow. It may not be the best time to visit there, but you could visit the south during winter and it will usually be mild and enjoyable. If you’ll be visiting the major theme parks (Disneyland and Disneyworld), you will want to consider avoiding the typical school holidays, when families will be flocking to the park in large numbers. The best time to visit the parks is in the spring and fall (avoiding March for spring break). The main reasons people visit the United States are to see the big cities, go on a road trip, or visit the National Parks. You will likely want to plan your trip around the following hotspots. 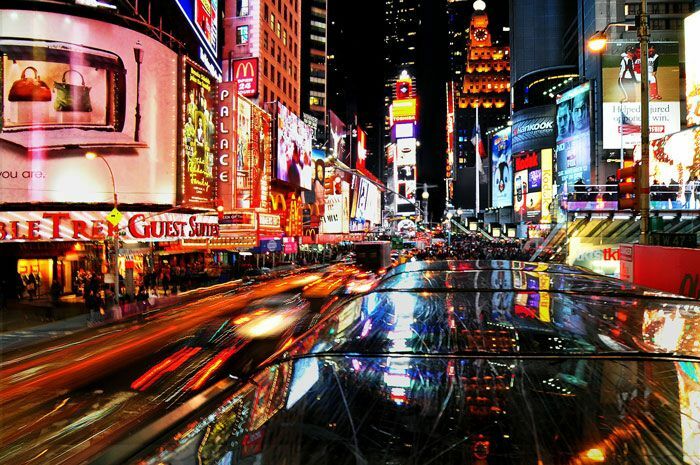 Everyone wants to visit Los Angeles and New York City. Other top choices are Boston, Seattle, Chicago, New Orleans. See our list of the 8 best cities to visit in the U.S. There are 59 national park areas in the United States. 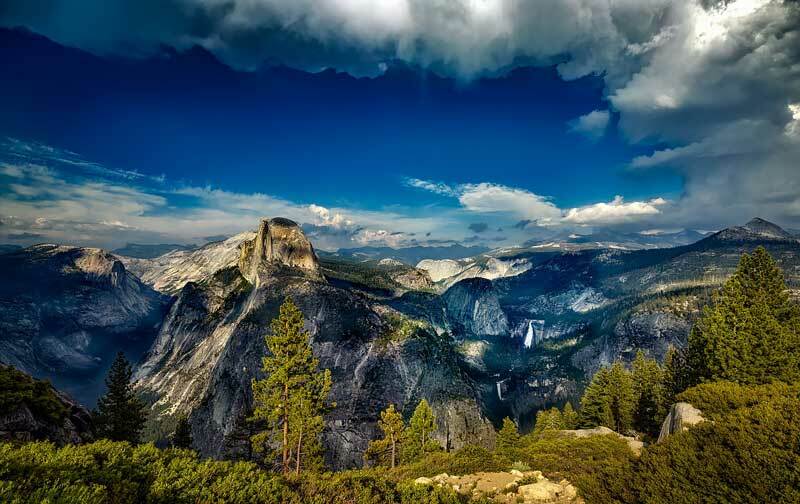 The most popular are the Great Smoky Mountains, the Grand Canyon, Yosemite and Yellowstone. Here are a few more. A battle is always on about which coast is the best coast. 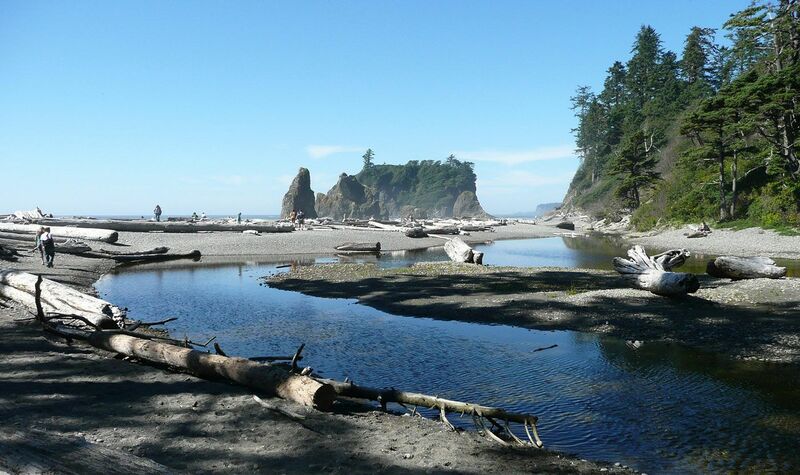 That much coastline is a great opportunity for road trips, and both coasts have a tremendous amount to offer. You’ll still have to decide between the west coast and the east coast when visiting the Disney Parks. Or maybe just go to both. Disneyland in California, or Disney World in Florida. Visit the National Parks, like the Grand Canyon, Yosemite, Yellowstone, Glacier and Olympic National Park. Spot movie stars in Hollywood. Be sure to have dinner at The Bazaar in Beverly Hills while you’re there. YUM! See the Golden Gate Bridge in San Francisco, and ride the old cable cars. Then head up to Sonoma for some wine tasting. Head to the South Lake Tahoe resort area for a weekend getaway. Lake Tahoe is the largest freshwater lake in the Sierra Nevada mountains. Check out the 100+ year old Pike Place Market in Seattle. Here are 30 other things to do in Seattle. Go to Disneyland or Disney World OR forget Disney and check out these offbeat and lesser-known treasures in Florida. Learn a bit of United States history in Washington DC, or try the non-touristy activities there instead. Take a horse carriage ride through Central Park in Manhattan. Want more things to do in Manhattan? Here are 25 of the best! Party on Miami Beach or take a road trip from Miami to Key West. Go to the Mardi Gras celebration in New Orleans. While you’re there, try these awesome local foods. You’ve almost certainly heard the what happens in Vegas stays in Vegas. It’s one of the best adult playgrounds in the United States. There are many great day trips from Vegas when you get tired of gambling, eating and drinking. Believe me, there are hundreds more. This is just a list to get your started thinking about what you’d like to do in the United States. It’s quite likely that you’ll be visiting one a specific state or area in the United States, so it’s difficult to give helpful advice on where to stay with so many options. Each of our destination guides include information on where to stay in that city, so I recommend checking there to see if we’ve covered the area you’ll be visiting. I’ve always thought that the United States doesn’t really have its own cuisine. No one said, ever, “Let’s go out for U.S. food tonight, honey!” It’s really a conglomeration of different cuisines, and those foods have come together to form a sort of typical U.S. diet. Some examples: Tacos and burritos, which are very popular in the U.S.. Chinese food takeout. And PIZZA! BBQ ribs, brisket, chicken, etc. Additionally, there are some foods that can be found in a specific state or region of the United States. Southern food is quite unique and includes favorites like biscuits, corn bread and fried chicken. You’ll find many unique things to eat in New Orleans, including gumbo, jambalaya and poboys. Chicago is where you can find a very unique type of pizza called Deep Dish. It’s likely any other pizza you’ve had, and it can’t really be found anywhere else. Philadelphia is home to the Philly cheesesteak. The United States definitely has a stake in the wine industry. There are dozens of wine regions throughout the country. Not just the top ones you’ve probably heard of like Napa and Sonoma, but also in Oregon, Virginia and Washington state. In fact, every state in the U.S. makes wine. Craft beer is also a major industry in the United States. Macro-breweries like Coors and Budweiser have long had a hold on beer sales in the U.S., but over the past 10 years the landscape has changed and there are many more craft breweries. For an idea what to expect, here are some of the craft breweries we love in Seattle. In Kentucky, you’ll find the Kentucky Bourbon Trail, where the vast majority of whiskey in the Unites States is made. Bourbon got its name from one of the original counties in Kentucky where the whiskey was often shipped from. You can visit the Bourbon Trail and learn all about how the spirit is made.